As drums beat and the crowd cheers, a man leaps onto the back of a large bull and hangs tightly to its hump as the animal bucks and jumps. If he can hold on to the bull for three jumps or for 30 seconds or for a distance of 15 meters (49 feet) he'll have a chance at winning prizes handed out by sponsors such as cooking pots, clothes, bicycles, motorbikes or even a car. He's just one of the hundreds of bull vaulters who are competing in a Jallikattu festival in southern India. 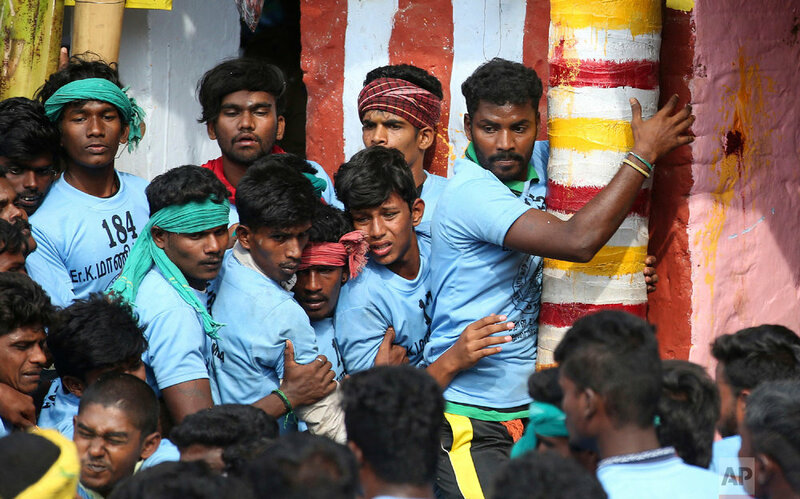 Taking place in amid a carnival-like atmosphere, the events are part rodeo and part running of the bulls and are held across India's Tamil Nadu state during the four-day Pongal, or winter harvest festival. The event can be dangerous, and not just for the vaulters, as the bulls often fore bystanders as they to escape through the crowded area. 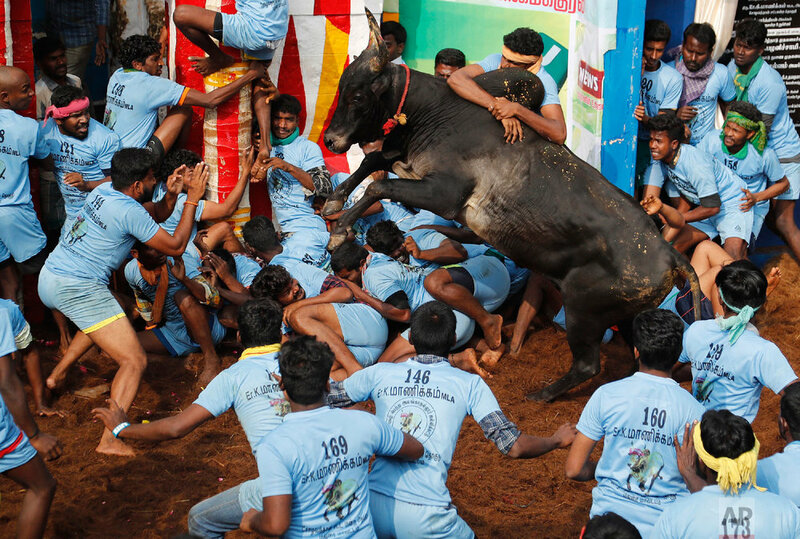 The Jallikattu has its roots in Tamil culture and a centuries-old religious ritual. 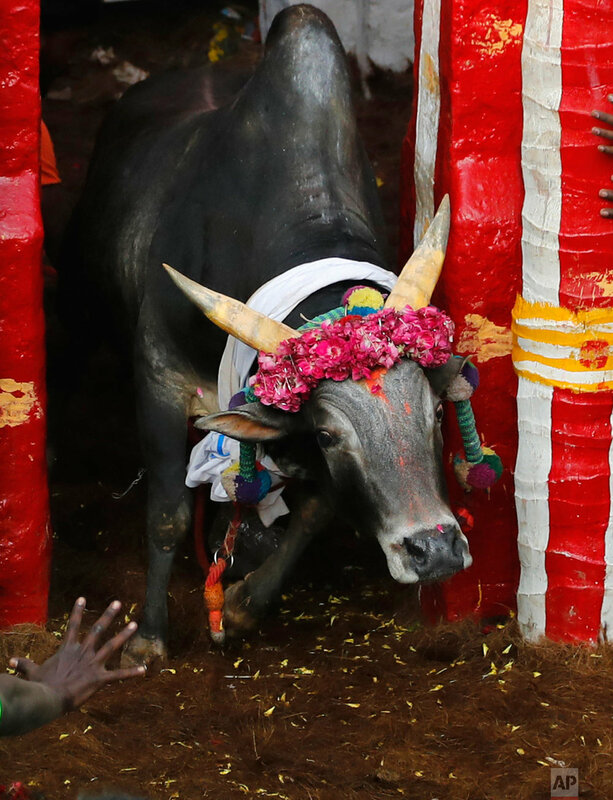 The events were banned in Tamil Nadu in 2014 for two years after India's Supreme Court found them cruel, acting on petitions by animal rights activists. That sparked protests and eventually new legislation that exempt the event from animal cruelty laws. Still, Nikunj Sharma of PETA in India said the event leads to deaths for both people and the bulls. "Our major focus is to make people aware that these games are not just cruel for animals but they are also cruel for humans," Sharma said. 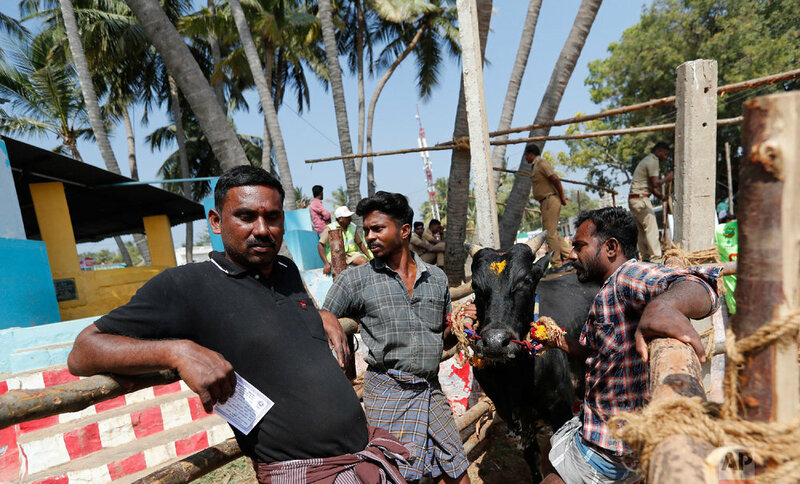 "Jallikattu and bulls are like God to us," said M. Jayakumar, who was taking part in an event in the village of Allanganallur. "Even if we get injured while performing the sport we make sure not to harm the bulls." 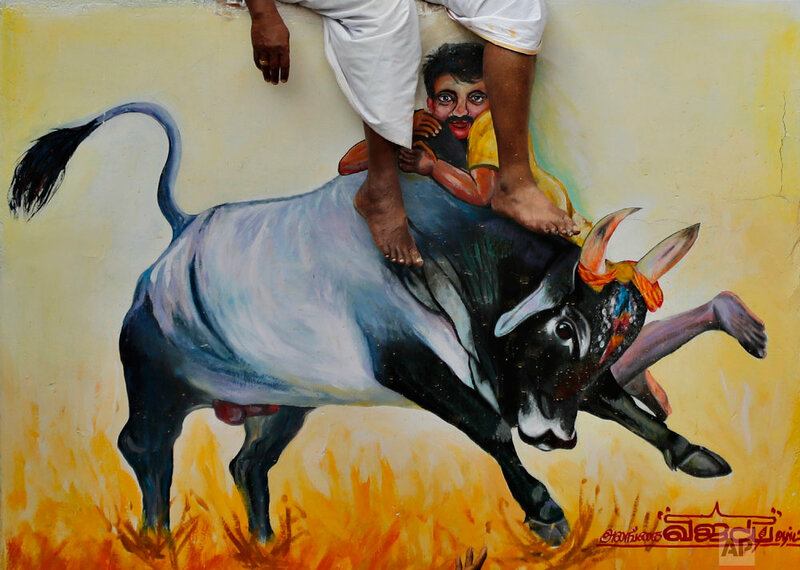 Text from AP news story, Celebrating south India’s bull taming festivals, by Aijaz Rahi.